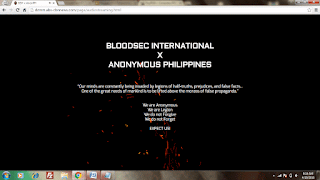 The website of ABS CBN Broadcasting Corporation get hacked by the group called Bloodsec International and Anonymous Philippines. The subdomain DZMM.abs-cbnnews.com was hacked last night and as of this morning April 19, 2016 the said site is still not available. When you visit DZMM’s website you’ll automatically get redirected to news.abs-cbn.com as their temporary homepage. Below is the screenshot of the defaced website and the possible reason why they hacked this news portal. 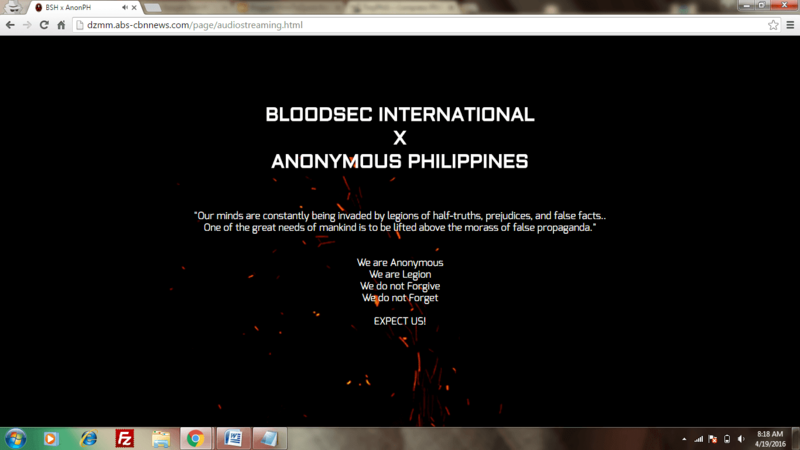 Here’s the message from Bloodsec International and Anonymous Philippines that was displayed on DZMM’s site with flaming black background. "Our minds are constantly being invaded by legions of half-truths, prejudices, and false facts. One of the great needs of mankind is to be lifted above the morass of false propaganda." As of this time the website is still down. The website is hosted on Site5 webhosting and the page is currently suspended due to overlimit in bandwidth. If you wish to check DZMM news portal you can use Google cached version of the site.